As planned, the instrument landed on a barge floating in the Pacific Ocean. It was the second series of Iridium satellites launched by SpaceX. 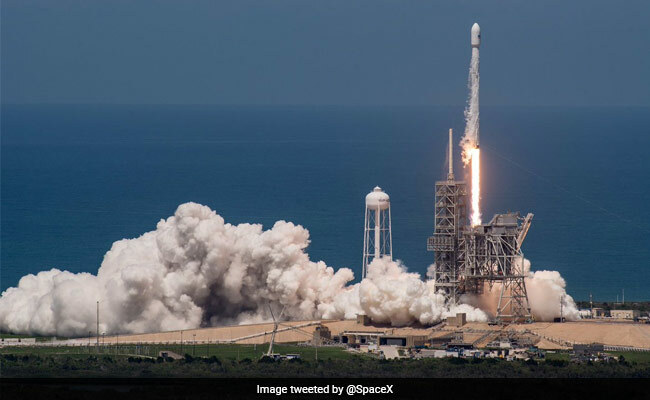 Los Angeles: The American company SpaceX on Sunday successfully placed 10 satellites for the communications company Iridium into orbit using a Falcon 9 rocket. After launching as scheduled from the Vandenberg Air Force Base in California at 1:25 pm local time (2025 GMT), the Falcon 9's first stage returned less than eight minutes after taking off. In total SpaceX, which is headed by billionaire entrepreneur Elon Musk, will launch a series of 75 satellites for Iridium's satellite constellation, Iridium NEXT by 2018. The $3 billion project is a bid to upgrade the Virginia-based Iridium's global communications network.